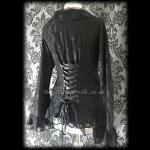 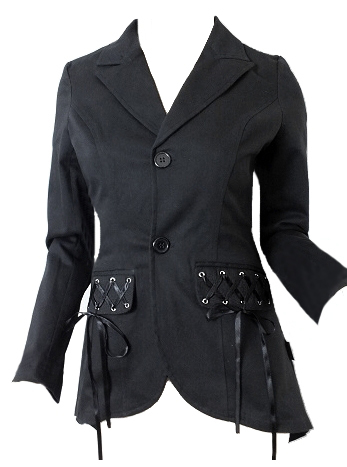 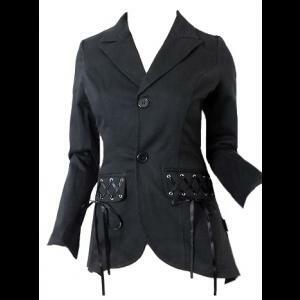 A fitted jacket by Raven made from black cotton with a single breasted fastening at the front and ribbon corset detail on each pocket flap. 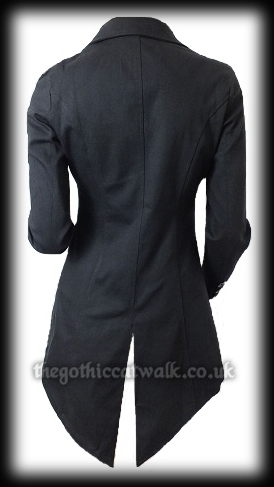 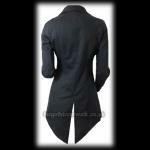 The back of the jacket is longer than the front and has a vent at the lower hem. 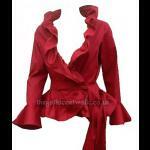 The sleeves have three decorative buttons on each cuff and the jacket is lined throughout with bright red satin.